Grand Hotel Leon D’Oro enjoys a convenient location right by Bari Central Train and Bus Station in the Murat district, offering modern rooms and facilities as well as a rooftop restaurant. Bus 16 and the Tempesta shuttle take you to the airport in around 15 minutes. This large building mixes a functional exterior with contemporary-style interiors. Relax in bright, fresh common areas and well-furnished, spacious rooms which come with free Wi-Fi . Breakfast includes croissants, juices and hot drinks and is served in the top-floor breakfast room. Chat with friendly staff in the stylish bar or enjoy some of Grand Hotel Leon D’Oro’s delicious traditional cuisine in the welcoming ground-floor restaurant. Bari’s historic center is short walking distance away and busses also pass by frequently. 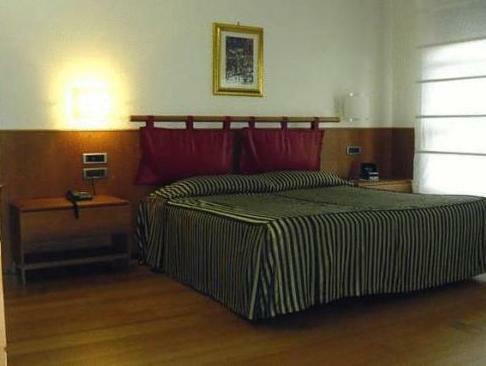 Shopping streets can be found nearby, and Bari Aldo Moro University is 164 feet away. Please inform Grand Hotel Leon D'Oro of your expected arrival time in advance. You can use the Special Requests box when booking, or contact the property directly using the contact details in your confirmation.